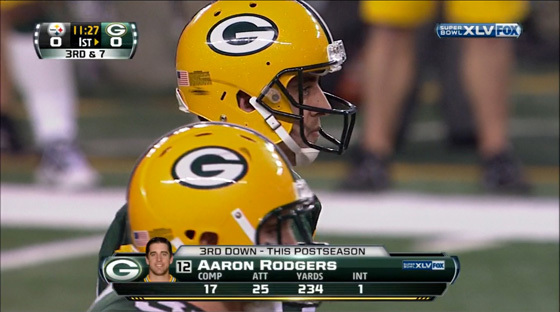 Fox Sports began using Vizrt at the beginning of the 2010 NFL season and deployed multiple Viz Trio and Viz Engine systems for the Super Bowl’s expanded coverage. “We were given an incredible opportunity to display our graphics throughout one of the most stunning facilities in the world on Super Bowl Sunday. Vizrt enabled us to create elegant graphics, incorporating them into our pre-game by displaying graphics in Jumbotrons outside the stadium, in our booth displayed on an LED backdrop, and of course within our on-air presentation” said Zac Fields, Director of Remote Graphics, Fox Sports.